Fly over the East African plains and experience the never-ending adventure that awaits you in this luxury Tanzanian safari. Whether flying or driving, surround yourself with expansive wingspans, waving grass, migrating zebras, and the roars of lions as you explore the everlasting grassland searching for quintessential Africa and finding it in the vast expanse. 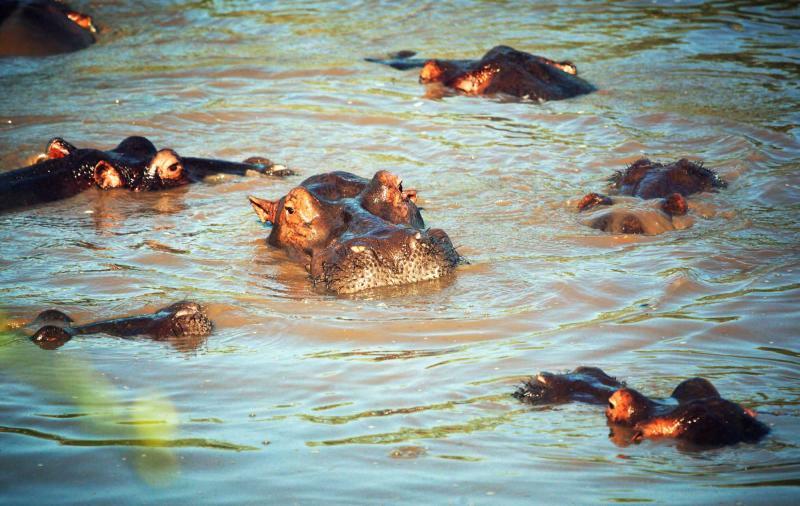 This is the Tanzania safari you’ve seen in documentaries, but the real safari is only better. 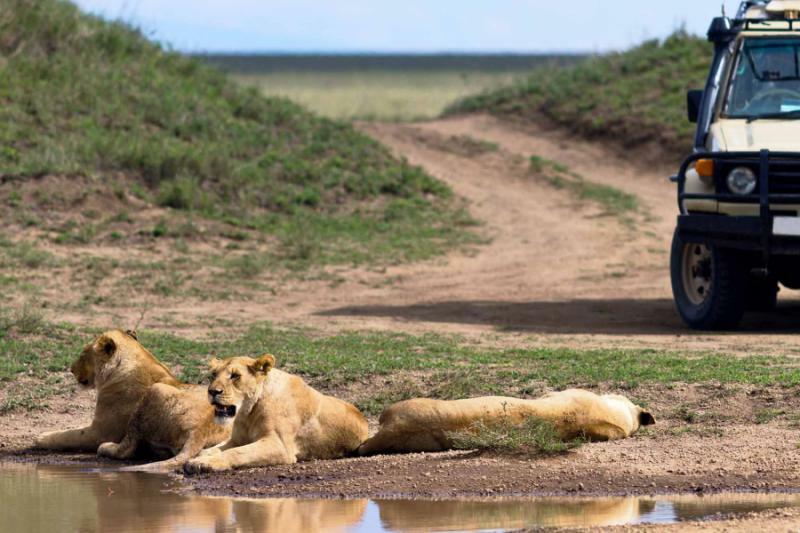 This 12-day tour takes you through the amazing game reserves of Tanzania, from the famous Serengeti to the lush Ngorongoro Crater and beyond. 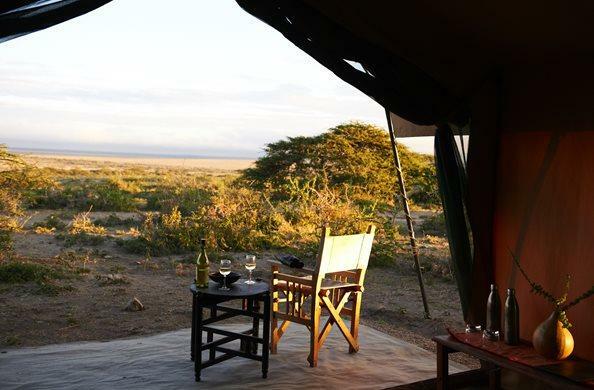 Although best experienced during Tanzania’s dry season, there is never a bad time to venture into the wilds of this exceptional, luxurious adventure. From visiting with Maasai tribes in the Ngorongoro Conservation Area to journeying through the diverse landscapes of East Africa, this trip will have you gliding through East Africa and making you feel like you can fly. 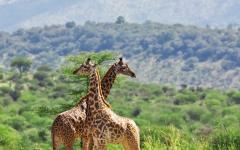 Spend four days on an endless game drive in the Serengeti scouring the open space. The never-ending swells of wildlife that call the Serengeti plains home will have you’re your eyes bulging with excitement. Each day offers a new animal to experience and a new adventure to soar through. 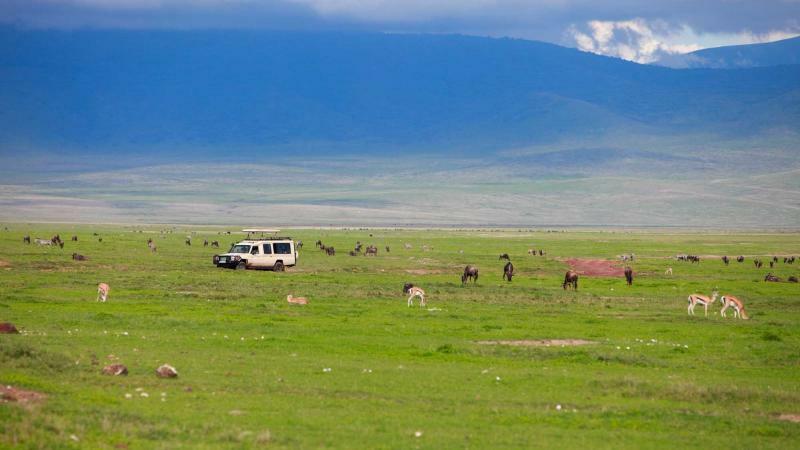 Journey through Ngorongoro Crater; the altitude keeps the vegetation lush, the wildlife abundant, and the voyage increasingly awesome. Black rhino roam the grass and Crowned cranes drift in the air. 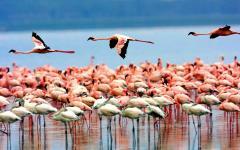 Lake Manyara mixes lush jungle with vast fields and offers an exceptional array of animals, from baboons to elephants, and a lively variety of bird-life. 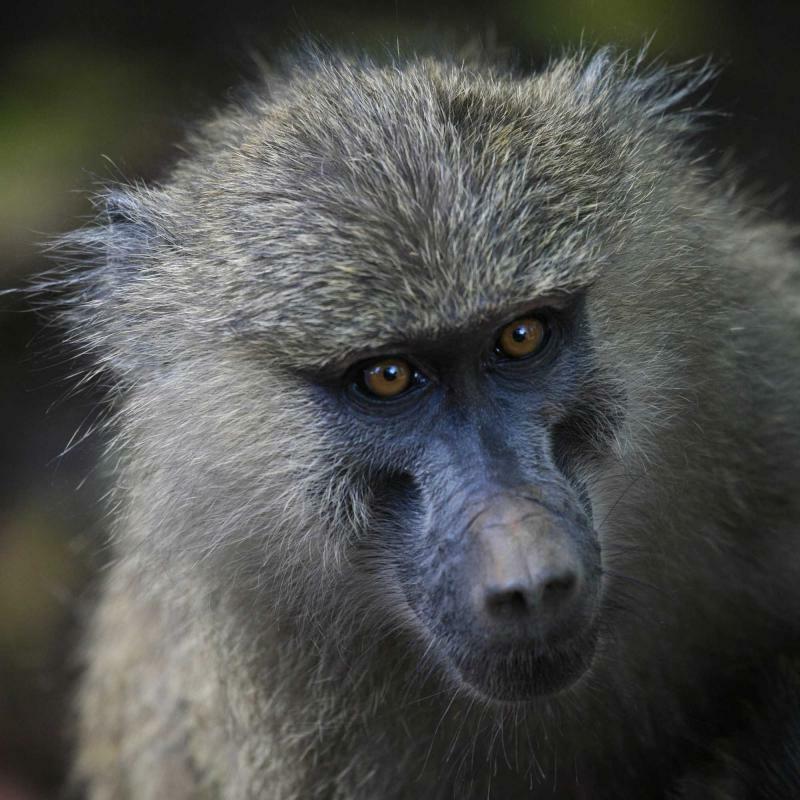 Complete your journey on the plains of Tarangire National Park where, for three full nights, you will witness the hoards of East African wildlife that crowd around the river and lap at its banks. In the earth’s arid dry season the animals roam to the constant source of refreshment, offering visitors a fabulous view of nature’s finest moments. Eventually all adventures end, but the awe of your experience will linger as long as the East African plains—endlessly. Arrive in Arusha at the Kilimanjaro International Airport and depart your flight ready for the incredible plains of Africa. Transfer to the luxurious space of the Impala Hotel, named for the beautiful golden antelope that speckle the Eastern African bush. Step into the marbled entryway, the smell of polished wood emanates from the glossy Maasai Warrior statues that encircle the hotel’s columns. Spend time in the Arusha Cultural Center and see the spirit of Tanzania. Decorated with statues of elephants and giraffes made from scrap metal, the cultural center contains the largest collection of East African art in one location, and houses the largest dealer of tanzanite. Roam through the spiraling halls of the art gallery which spotlights artists that were inspired by the incredible beauty of their homeland, from the rambunctiousness of the endangered wild dog, to the awe inspiring traditions of the Maasai. The art mixes a complicated history, a hopeful future, a pessimistic present, and a sense of indelible connection to East Africa that should not be missed and cannot be ignored. Wake up to the sweet smell of local fruits: pineapple, bananas, apples, and mangoes, before departing for your flight to the Serengeti. While on the flight you can see the wall of the Great Rift Valley stretching almost as far as its northern point in the Jordan Valley and down to Mozambique in the south. 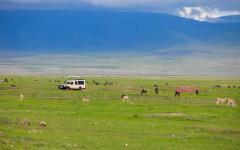 Soon the vivacious green of the valley wall and the Ngorongoro Crater shift to expansive golden fields. 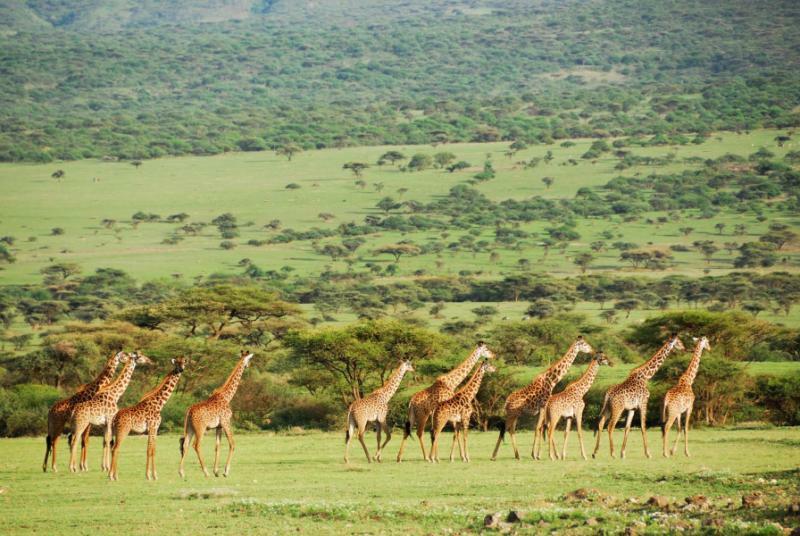 As the plane lands in the open space, you understand why Serengeti means “Endless Plain,” in Swahili. Meet your guide at the airport and transfer to the Seronera Campsite preparing yourself for the luxurious adventure to come. Wake up to the sonorous sunrise of the Serengeti, where lions’ roars and the chirping of Crowned Cranes begin with dawn, when the air is still crisp on your skin. After a hardy breakfast begin your game drive through the best-known national park in Tanzania, with the most unforgettable plains. 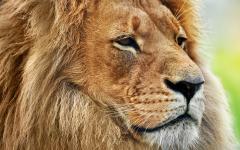 Keep your eyes open for Simba, which means lion in Swahili. Disney based their popular movie The Lion King upon the plains of the Serengeti, and their lions upon the simba of the territory. Begin your journey in the endless plains scouring the golden grass for the famous lions. The breeze blows the sweet scent of acacia trees into the vehicle. Drive past a collection of rocks, known to the guides as “Pride Rock” due to the collection of lions that commonly call the rocks their home on cool days. In the heat of the dry season keep an eye out for lions lounging in the deep shade of trees, bushes, rocks, and sometimes even stopped vehicles. The lions’ tails swish lazily waiting for a breeze, their manes are a stunning redish brown in the sunlight. Return to camp as the sun burns along the horizon turning the blue sky a fiery red and the gold plain a dazzling orange. Watch the darkness drain from the sky as the sun rises in the distance, the cackle of hyenas fading with the night. Climb into the vehicle for another day of game driving, the whole of the Serengeti under your wheels. 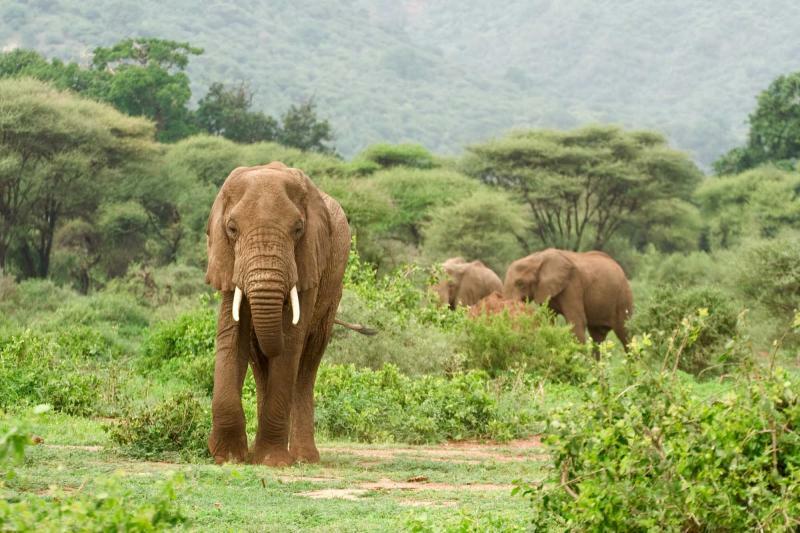 Troops of elephants wander along the landscape, puffs of dirt rising from their enormous feet. Baby elephants stumble ungracefully and adorably around the pack of larger elephants, flopping onto the ground and helped up by the matriarch. The powerful matriarch leads the way through the brush to watering holes and chases adolescent males away from the troop. The quick, loud trumpet from a young elephant testing its voice rings in your ears. Stop at the Serengeti Visitor Center for a history of the Serengeti land and National Park. Wander up the stairs and along the boardwalk to learn about a number of animals that call the Serengeti home. 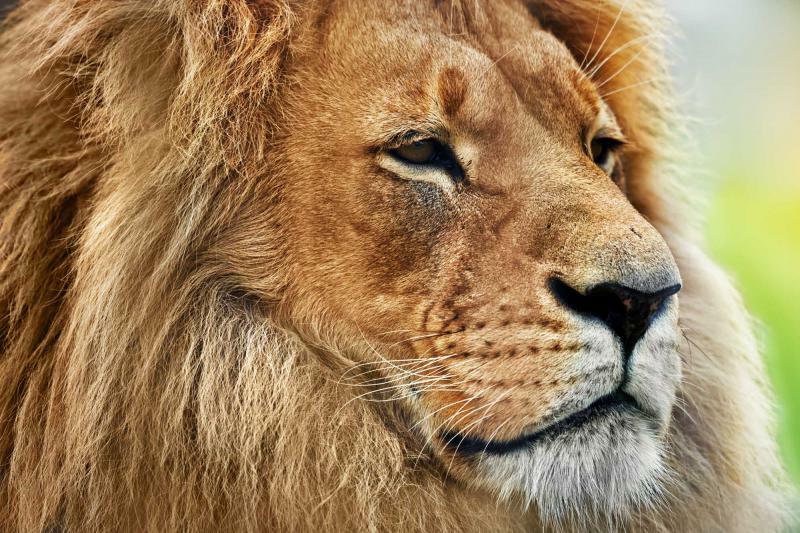 You may have already seen some of these animals skulking through the grass, running through the streets, or lazing about in the shade; others may have eluded you…so far. 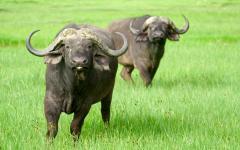 Read about the Great Migration and the movement of the wildebeest. 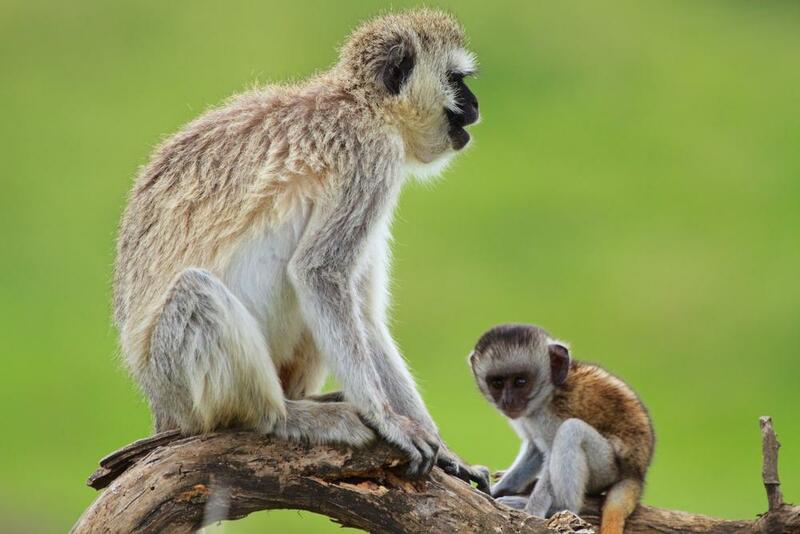 Listen to the guttural bark of the zebra and the diverse calls of the Vervet monkey. Rock hyraxes litter the center, resembling fat guinea pigs. The Rock hyrax are prolific climbers and are the closest living relative to elephants. Their squeaky sound can be heard throughout the visitor center as they sit along the pathways, climb on the tables, and sleep along the awnings. With so much adventure, excitement, life, and space, there is never enough time to see it all, but on this final day in the Serengeti you will have another chance at witnessing the breathtaking sites and remarkable wildlife in their most natural state. Travel farther afield, farther than most visitors venture, until you are surrounded with the smash of hooves, zebras’ black and white stripes blending into a hypnotic blur as they run along the side of the vehicle. Wildebeest leap into the air, their deep grumble mixing with the herd’s rumble. The animals roam through the Serengeti throughout East Africa during the Great Migration, leaping through rivers, running through fields, and clamoring through canyons, but at this moment it feels like you are running with them. 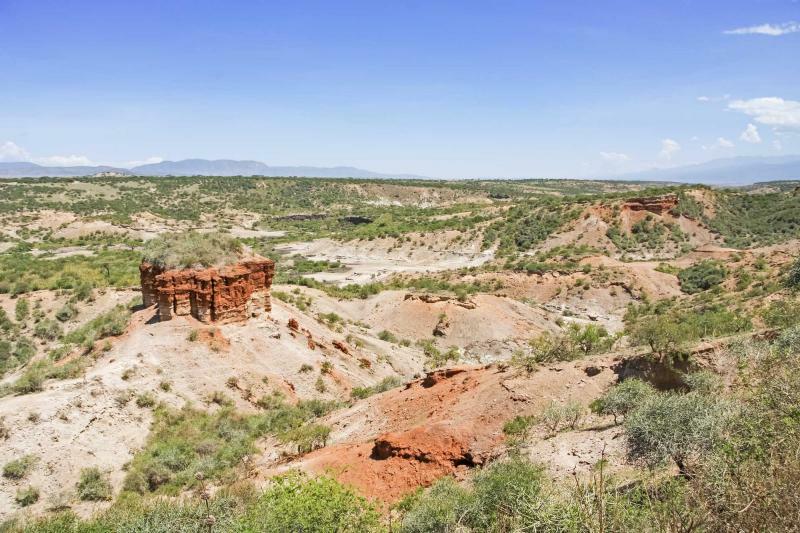 Reach the end of the endless plain, at least for now, and transfer to Ngorongoro Crater, considered to be the “Cradle of Life.” Stop at Olduvai Gorge where the red and white rock of the towering monolith glistens in the season’s heat and looms large over the depths of the dry land. 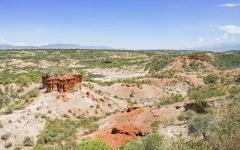 Olduvai Gorge is where Louis Leakey found fossils in 1931 containing information on human origins and evolution and that are considered to be the oldest fossils ever discovered. Having once been a deep and vibrant lake, the gorge now boasts incredibly colorful layers of earth from its tip to its floor. The rusted red color of the gorge’s rim radiates in the sunlight. 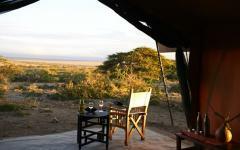 Continue on to your accommodation at the breathtaking Ngorongoro Wildlife Lodge. Marvel at the lodge’s views overlooking the crater; grab a Kilimanjaro beer or an ice cold Coke and watch the sun set over the lush green of the crater floor. Take it all in as the candles of the restaurant flicker and the clouds roll in and cover night sky with thick moisture. After breakfast, drive to the basin of the Ngorongoro Crater as the morning sun burns away the night fog. 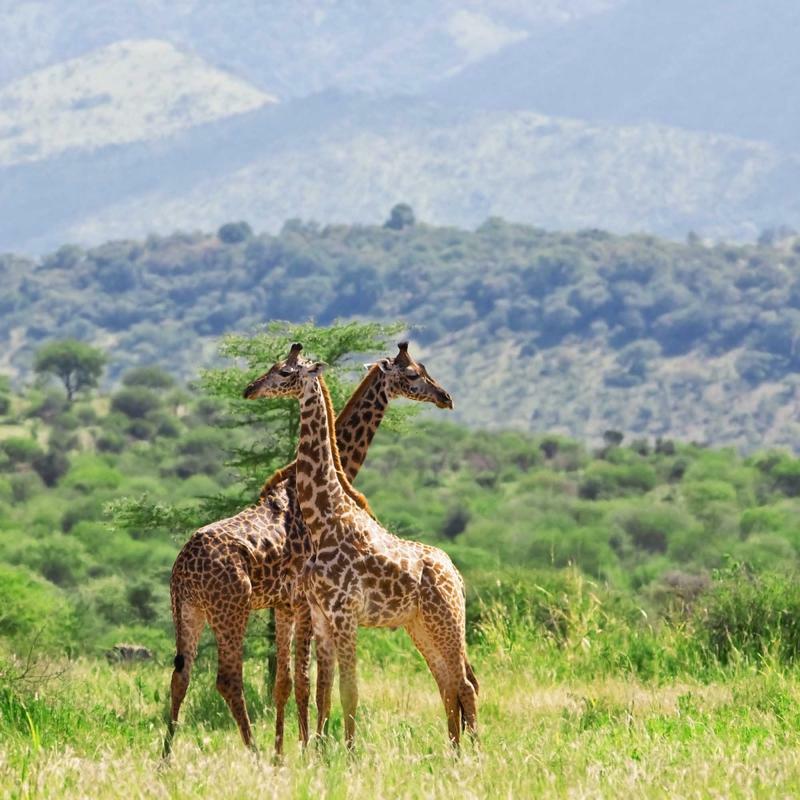 Known for its exceptional game viewing and vibrant colors year round, the crater will show you an assortment of wildlife that you wouldn’t think would live in such close proximity. The farther you descend into the crater the stronger the smell of wet grass and the closer you come to Lake Makat. 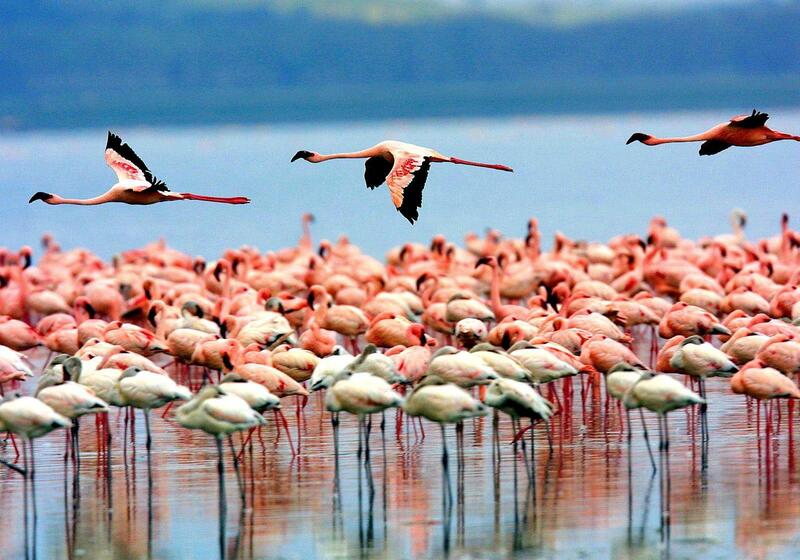 The smell of saltwater takes over, the swell of pink from flocks of flamingos hovers above the crystal clear water. Black rhino are known to linger close to the lake, grazing on the lush grass that contains a hint of salt. 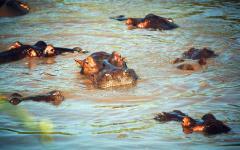 Relax in the tall brush next to the hippo pool as the playful beasts grunt loudly, blow bubbles in the water, and wiggle their tube-shaped ears in the warm air. Their girth is impressive, and their mouths open almost 160 degrees exposing large, saber-like teeth. As the heat gives way to the cool evening air, the clouds once again roll in and the larger animals become active once again. 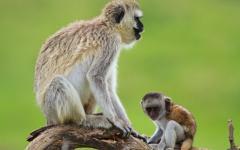 Depart Ngorongoro Crater and journey to Gibb’s Farm for a decadent and uniquely Tanzanian lunch. Enjoy the rich Arabica coffee grown on the farm, brewed and pressed to order. The smell of decadent coffee grounds mixes with a citrus sent that emanates from your cup. The windows open to the garden bringing in the cool breeze and the smell of fresh unearthed vegetables. Chef Lisa Campbell mixes traditional English fair with Tanzanian influences to offer local, delectable, and unforgettable dishes. 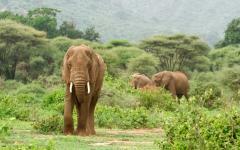 Continue on to Lake Manyara National Park where elephants are known to wander through the unpaved streets and where lions climb trees to better locate prey, their limbs dangling from the branches as they scour the terrain. Settle into the Lake Manyara Wildlife Lodge with a pool that overlooks the distant lake. The high-pitched caw of the African Hen kingfisher is clear in the air; you may feel like you are sitting in the lake practically able to touch the animals. Transfer from Lake Manyara National Park to Tarangire National Park where the ever-flowing river keeps the animals contented and plentiful year round. Enjoy your time at the Tarangire Sopa where the thatched roofs of each room imitate Maasai culture and welcome you into a comfortable and luxurious experience. In the dry season the riverbed shrinks and the lagoons dissipate, causing hoards of hartebeest, a shaggy brown antelope, along with the Cape buffalo and others to ascend upon the water source, creating a party of animals lapping at the rushing water and refreshing themselves. The oxidized red of termite mounds shines as they sprout from the ground and spire above the grass often becoming home to snakes and mongoose. 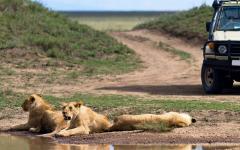 The warm air whisks around the vehicle as you make your way through Tarangire National Park. The barren limbs of baobab trees tangle and reach into the air like an image from a Tim Burton movie. 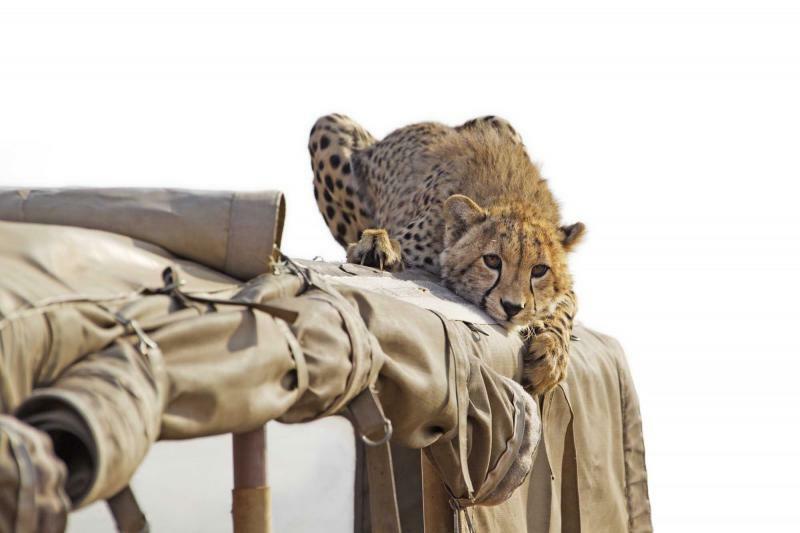 The black spots of cheetah can barely be seen peaking through the dry grass, the cat’s ears twitching with the sound of the car’s engine as it settles into its camouflage waiting for prey to wander through the area. Warthogs run through the fields, their large tusks curving into their snouts, grunting with aggression and squealing with fear; their tails are vertical as their legs carry them away from the vehicle to relative safety and into the horizon. Your final day in Tarangire National Park brings the exceptional wildlife back into view, running through the incredible open spaces of the park. 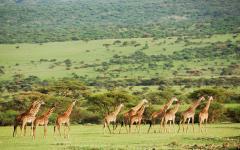 Giraffes roam through the plain; their slender legs raise them high over the short grass. At the river they spread their legs into an A-shape, and lower their necks down to the water. You watch their dark tongues soak up the river, an elegant and vulnerable position to be in, until their thirst is quenched and they slowly raise their head and hop back to standing. The large, thin legs and dark, thick feathers of the Marabou stork remind people of a duplicitous geriatric as they forage through the dirt or sit in the trees with their shoulders hunched. Then they jump from the highest branch and spread their wings, graceful in their glide away from you, offering a reminder that in the endless plains of East Africa, there is beauty in everything. Enjoy a lazy morning with a delicious and hardy breakfast, the scent of delicious coffee filling your room. Dip your toes into the pool, the clear, still water cooling your skin before you partake in one last game drive through the African plain. 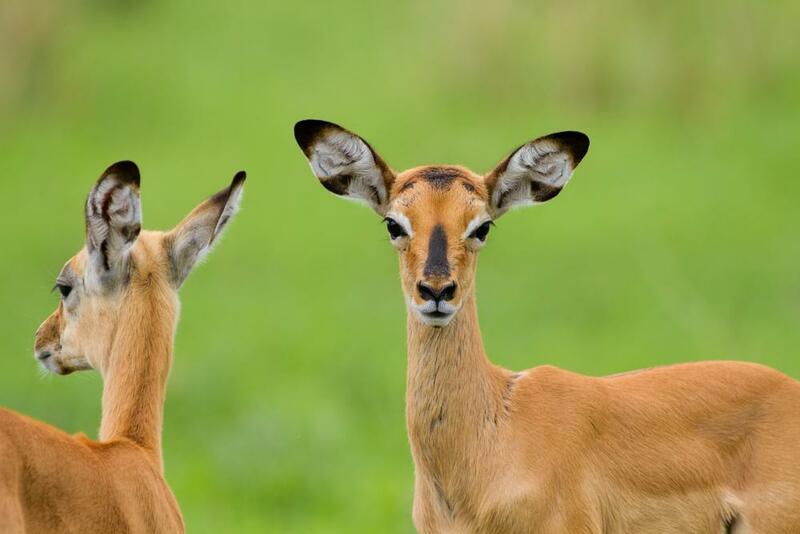 The grace of the long necked gerenuk is always intriguing, a dough-like antelope with bronzed fur and ears like a Rorschach test, its neck slender and frail as it stands on its hind legs and reaches for the lower branches of tall trees. 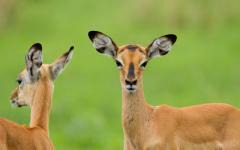 The gerenuk stands proud in the piney smell of the brush as you traverse your final moments of Tarangire. Eventually you will transfer back to Arusha, to the Kilimanjaro Airport, and board your flight home, once again flying over the endless plains of East Africa. Or, think about adding on to your safari adventure. 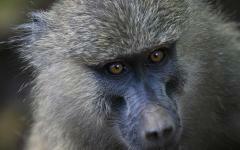 Get ideas from the safari tour reviews of Tanzania section!